With only a few hours left in 2009 (here in Tucson anyway, I know its already 2010 for you folks in the Eastern Hemisphere), I thought I would do a quick round-up from news and interesting links from the last few weeks that I haven't had a chance to get to. Enjoy! 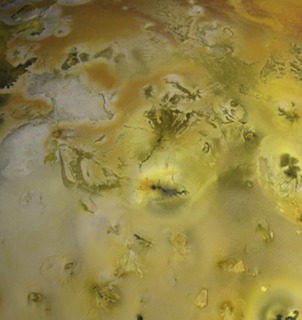 On the reprocessed images front, Ted Stryk has taken a look at some global views of Io taken by Galileo, including some optical navigation frames from March 31, 1997 during a mutual event between Io and two of Jupiter's small inner moons, Metis and Adrastea, and GLOCOL01 from October 16, 2001. 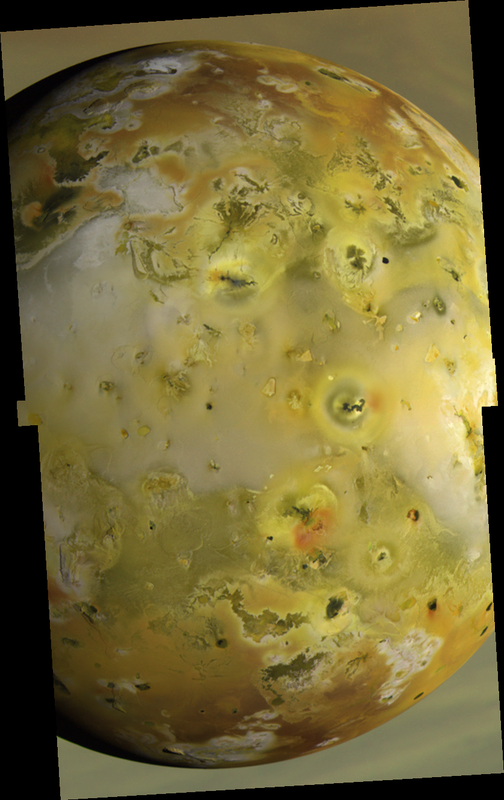 Ted combined three frames from 1997 to show not only the windows (used to further compress the data sent back from Galileo) around Adrastea and Io (well the limb of Io anyway), but a plume on Io's limb. The location of the plume, as Ted points out, suggests that it was associated with Pele, but the size of the plume and its brightness at this phase angle makes me think otherwise... maybe the plume is Pillan instead, but this data was taken at least a month before the eruption began. I'll have to check into that. 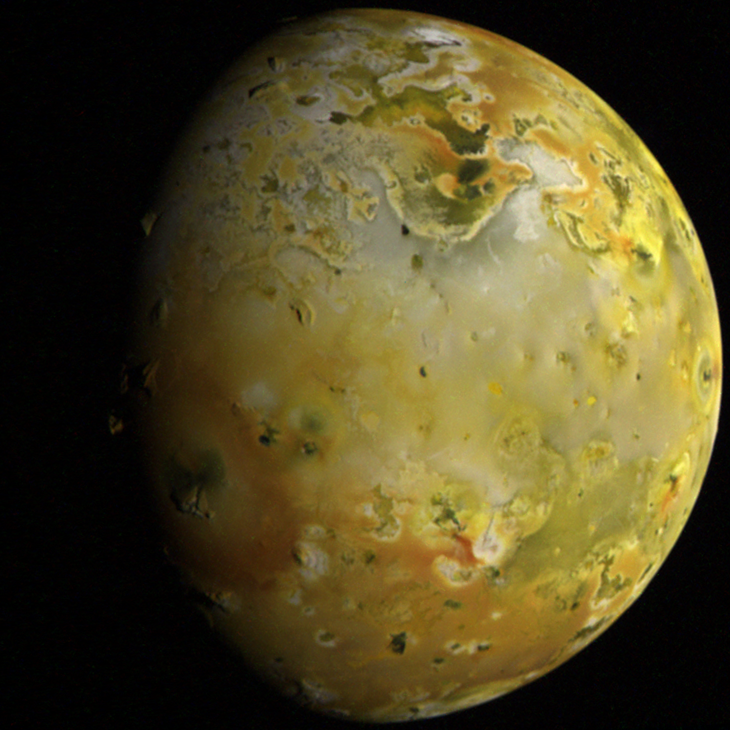 The other image Ted processed was the GLOCOL01 global color observation from orbit I32, taken shortly after a flyby of Io. I previously presented my version of this image. Ted was able to pull out the plume from the Thor eruption that summer and fall. I am amazed he was able to pull that out of the violet filter data. My own stretching of that same data, shown at left (the plume is on the bright limb on the lower left hand portion of the image), BARELY shows that plume at all, suggesting that Ted had to noise filter that image to an extreme degree... great job, Ted! As jekbradbury commented here last week, he was able to bring out some details from some garbled I24 images that had yet to be reconstructed. 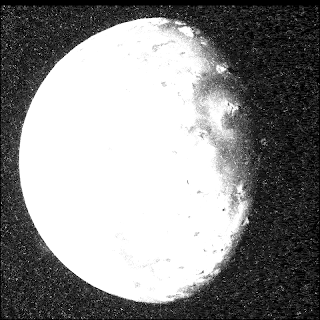 These images are marred by dark, vertical bands resulting from a corruptions of the camera's image summation algorithm. Details on the image he processed can be found at the unmannedspaceflight.com forum. The resulting image shows the current (as of 1999) main flow of Volund on the right side of the image and older, greenish flows to right of that dark flow. For comparison, see the image at right taken from a color mosaic acquired in March 1998. I think he is correct in his assessment that it isn't very useful for scientific uses since the data is so garbled, the effective resolution isn't any better than data acquired earlier in the Galileo mission, like the image at right. However, it is nice to see this "lost" data set finally get some attention paid to it. Perhaps the full ZAMAMA02 mosaic can be put together, even if some frames are of lower quality. We are coming up on the 400th Anniversary of Galileo Galilei's discovery of the Galilean satellites. If you know of any event commemorating this occasion, feel free to send them along to me and I will post them here on the blog. I don't know of one here in town, I might have a small party at my home next weekend, but that is about it at this point.